Noted litterateur, translator and scholar Hemachandra Acharya, popularly known as the Balmiki of Koshali literature for his translation of The Ramayana into Koshali, passed away at his residence in Garbhana village of Bargarh district on Wednesday evening. He was 84 and is survived by his wife, four sons and two daughters. 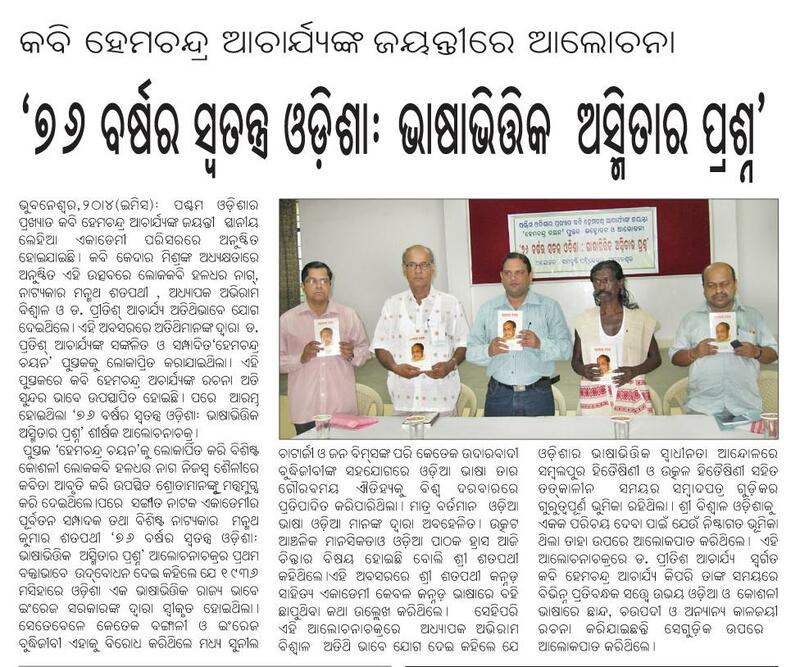 A people’s poet, his translation of The Ramayana – Ram Raha published by the Sambalpur University in 2001 – made him dearer to the masses in Western Orissa region where people speak Koshali (Sambalpuri) language. Even today, people in villages in the region religiously preserve and recite his translated version. He was also engaged in translation of the Upanishad into Koshali. His other major literary works include several plays and the traditional Keertan Geet. With wonderful command over Sanskrit, Hindi, Bengali, Oriya and Koshali, he was a much revered scholar. Acharya quit his lucrative job of an additional block development officer to devote himself whole-heartedly towards writing and social service. He was a close associate of the famed thinker and social activist late Kisan Patnaik. His son Pritish Acharya has got into his shoes and has been a renowned columnist and writer today. 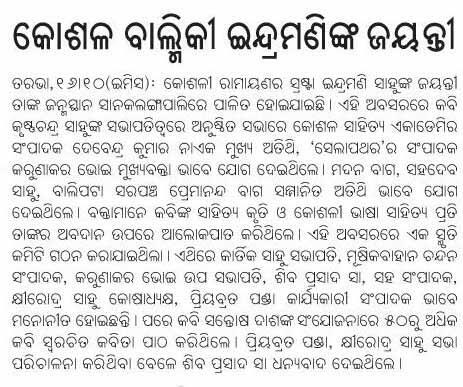 For his pioneering service to literature, he was honoured by the Sambalpur University and the Western Orissa Cultural Forum besides scores of literary organisations. A large number of writers, senior citizens, prominent personalities of the region and representatives of various literary and cultural organisations paid their last respect to the doyen whose mortal remains were consigned to flames on Thursday. 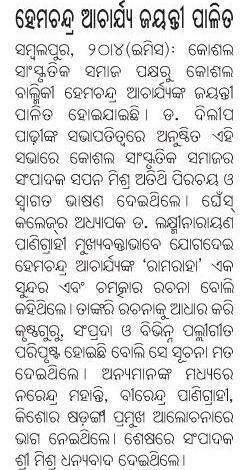 Thanks to Pritish Acharya, son of late Hemachandra Acharya for the following information. Pritish Acharya is currently serving as a Reader in History, Regional institute of Education , Bhubaneswar. 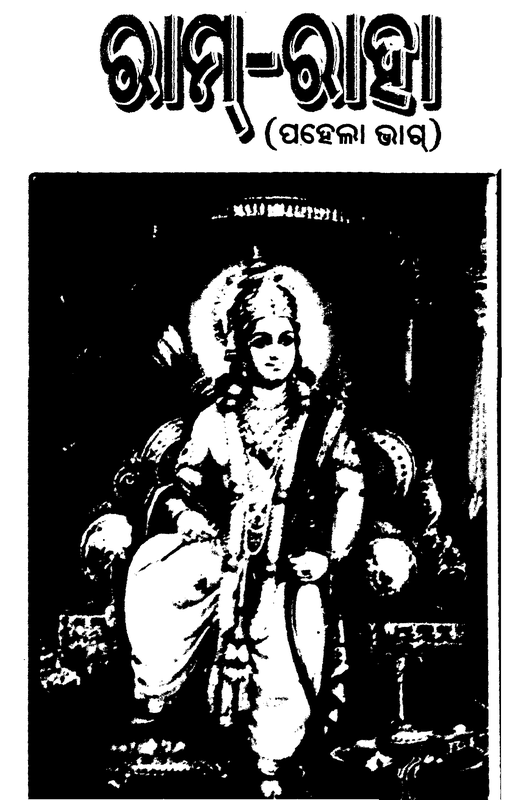 Shabari Sandesh 1975, From balugaon , puri. 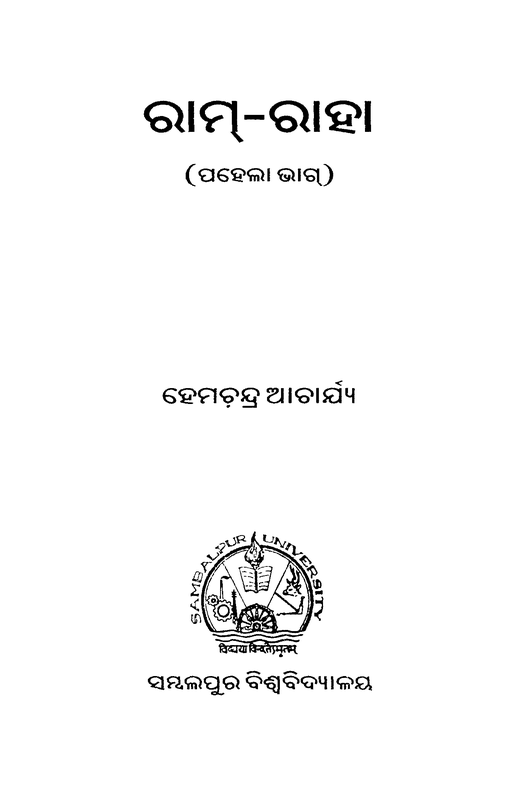 Giti Gatha 2008, Orissa book emporium , Ctc.